I do not know, but I do know that our dog, Jessie, had quite a complex inner life. We observed her more than once softly barking in her sleep and even her legs would slightly jerk. She clearly had vivid dreams, probably chasing a rabbit or a squirrel - we hoped it wasn't a nightmare but something nice. But do animals have souls? Most likely they do, and it should not be a big surprise, especially for any English speaker. The very word “animal” is directly derived from the Latin word “anima” which means nothing else but “soul”. Thus per definitionem - simply by the virtue of how the words of our language are defined - animals do have souls. 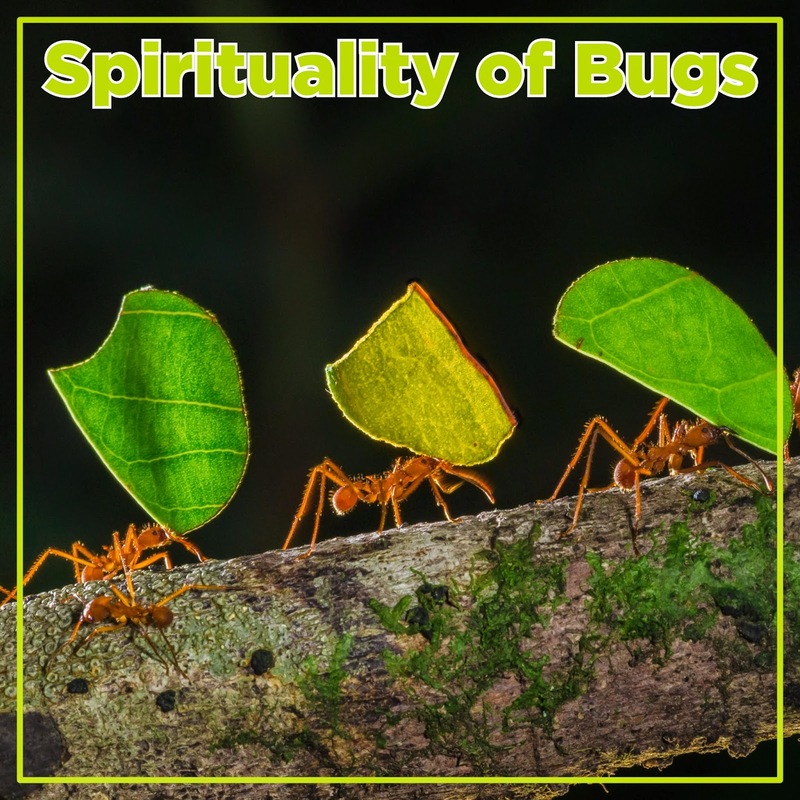 But what about insects, do they have souls? Surly not! Unless we start looking at social insects. I wrote about ants a year ago and about bees just few weeks ago. A colony of ants or bees together have a neuronal capacity similar to any other animal. A colony of social insects can interact with the environment: it can learn and even develop the personality. One summer during my childhood I spent several weekends on my knees in the forest with a family friend, naturalist and author of books about insects. We observed, studied and photographed colonies of ants. We studied European forests ants, but I heard from him about other truly industrious ants - the farming ants who grow mushroom gardens, the shepherding ants - who keep herds of aphids. Social insects are indeed amazing. I am not surprised at all that biblical sages used ants to set an example for a wise living. 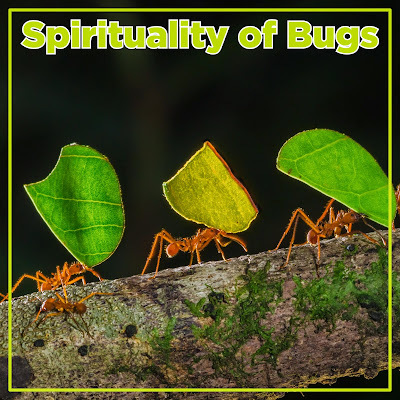 This Sunday we will learn from Bible to learn from ants. Is it possible that our God is a pyromaniac? Well there certainly are some strong indications. When you read the Bible, you can hardly escape the impression that our Judeo-Chirstian God has a special weakness for fire. 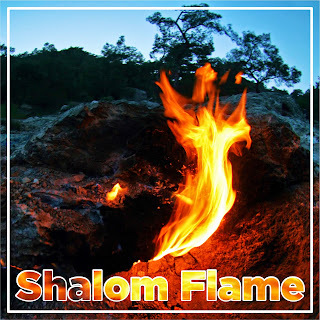 So many divine revelations and pivotal moments are accompanied with fiery displays. Moses is called at the burning bush. Judge Gideon, a charismatic leader, is called by an angel with a fiery show, in a similar manner the birth of Samson, another charismatic freedom fighter, is accompanied also with a flame display. And in the New Testament, the Church is called into existence with a flame show. There could be many other examples of theophanies (divine appearances) accompanied by or associated with fire, here I have picked only a few instances of people being called to the divine ministry of deliverance and justice. This call to promote justice is the other and even more important aspect of the divine pyromania, not only a mere presence of fire, but the use of fire as a symbol of freedom, liberation and justice - and this fire burns, but is not consumed or exhausted, it burns in prophets’ bones until the tasks are finished. So here you have it - God certainly resembles a pyromaniac of freedom and Pentecost is a marvelous holiday to be reminded of it. And unlike so much old-age Christian theologizing which would like to reserve the Holy Spirit only for the New Testament and domesticate her only for Christian circles - the true divine flame shines brightly in the Hebrew Bible and burns powerfully within as well as without pious enclaves - everywhere where justice and freedom are sought and striven for. This Pentecost we will see how fiery divine Spirit called, inspired and empowered Gideon. On the accompanying picture above is Yanartaş (Flaming Rock) in Turkey - in ancient times called Mount Chimera. 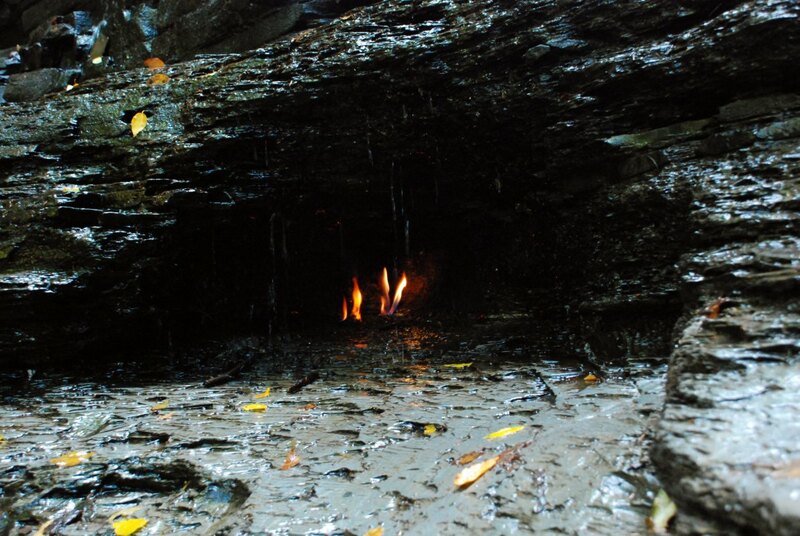 Natural gas comes all the way to the surface and burns with bright flame. 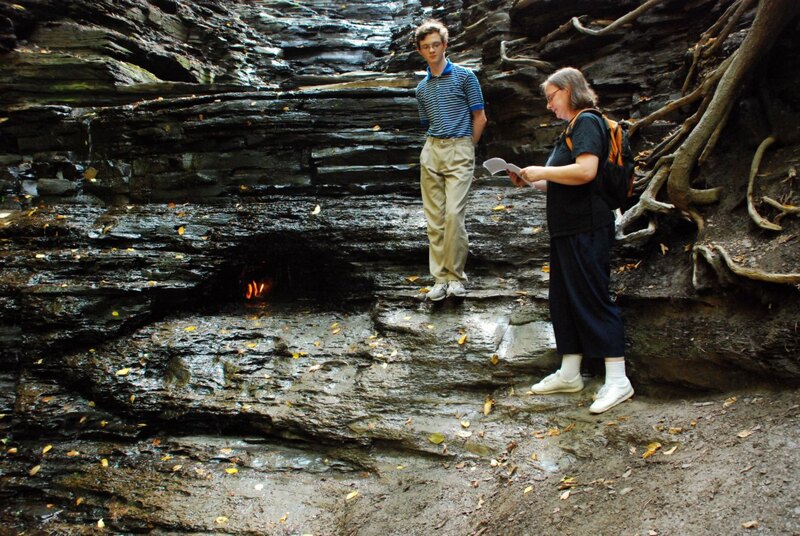 A similar, although smaller, geological wonder can be found right in NY State just south of Buffalo where natural gas from a shale formation comes to surface and burns in a small cave right behind a waterfall (two pictures below). There has never been any doubt that there is a high volume of natural gas under large parts of NYS. I prefer seeing or even protecting these small geological wonders before the countryside devastated by fracking and danger of a runaway global warming. These little natural flames should continue to burn, but the brunt of fossil fuels must stay in ground to prevent irreparable damage to our environment! Thankfully NYS recently banned fracking, but elsewhere it is allowed continues destruction of environment and CO2 pollution of the global atmosphere. Bees indeed deserve our love and admiration. My sister is a small yet ardent beekeeper and she can go on and on about the miracles and sublime beauties of bees. Each beehive is a small social microcosm, each beehive has a personality and interacts with outside world and other creatures. Bees can sense people’s attitudes and emotions. A stressed and angry beekeeper leads to stressed and angry beehives, and a happy and calm keeper makes happy and calm bees and as result, also more of the sweet, amber, glowing honey. Bees indeed deserve our admiration and love, not only because of the sweetness of their honey but for their role across nature as pollinators. Bees are essential for about 70% of our food and for the pollination of all wild plants and trees. Especially in this function bees are in desperate need of every fan and supporter. They need and deserve our love and protection as their numbers have been in catastrophic decline in recent years. This rapid decline among bees has been shared by butterflies and other pollinators - haven’t you noticed that there are fewer butterflies than there used to be? Among the bees it was called a sudden colony collapse and experts were scratching their heads. It is not a mystery any longer. 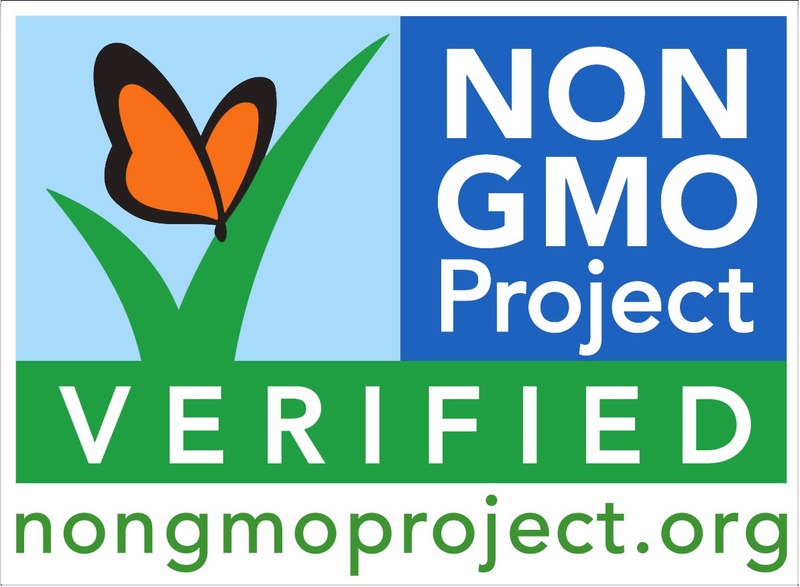 There are many contributing factors, but the root cause seems to be new agro-business technologies called systemic pesticides (called Neonicotinoid) and GMO plants which produce pesticides themselves. These systemic pesticides you cannot wash off of the surfaces of your vegetables. These pesticides are permeating plants like water permeates a wet sponge. They are in the roots, leaves, stalks and fruits to protect them from nibbling insects. But they are also in the flowers, nectar and even in dewdrops on the leaves. Systemic pesticides are now used even in the flowers we buy from florists and in plants from garden centers! Agro-industrialists and federal regulators (speaking from within the agro-industialists large and deep pockets) are all loudly swearing that all of this is absolutely harmless for humans. If you wish, you can trust them, but it is clearly not harmless for the bees and butterflies. When you go shopping, consider buying Organic and Non-GMO food and ask your florist about flowers and plants without systemic pesticides. Bees indeed deserve our love, admiration, protection and care. Be bee loving! 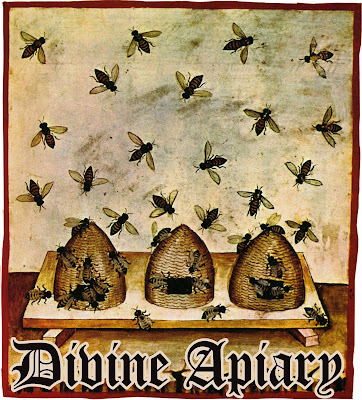 All this was prompted when I researched the biblical image of bees and honey for this coming Sunday. This Sunday is called Ascension Sunday and it is about Jesus’ departure to heaven 40 days after Easter. We will interconnect this mythic metaphor with a another image of the sweet and deep image of Divine Apiary. (By the way, have you noticed that in English, we do not “own” bees, we “keep” them as their stewards and protectors). 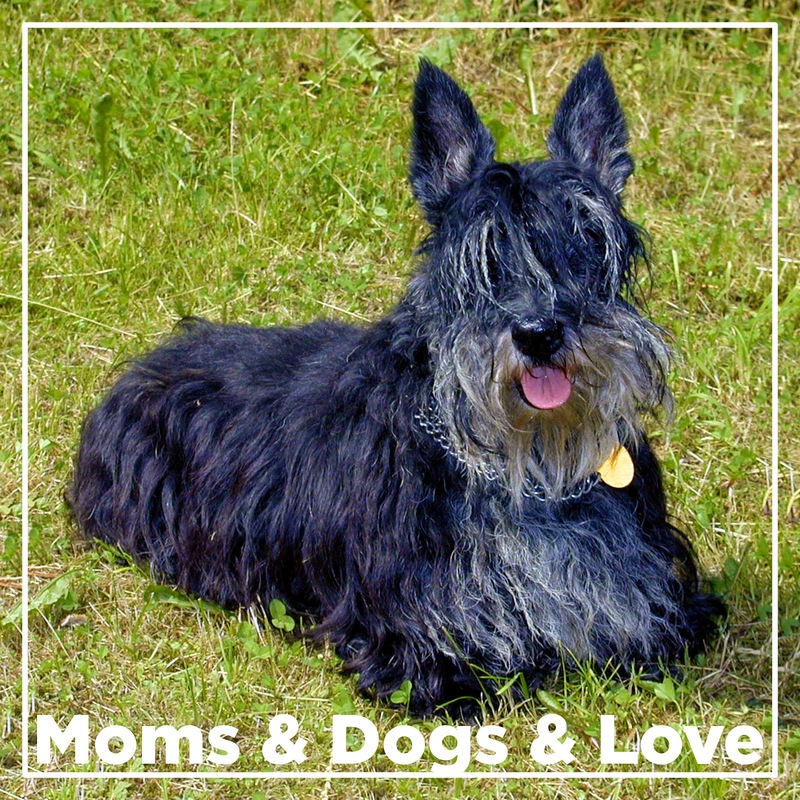 Shortly after our sons were born we brought home Jessie - our diehard Scottish Terrier. She literally grew up with our sons. From the time they were young they loved to be together, they pulling her ears and tail, she pulling them on her leash. Soon Jessie showed particular partiality towards our sons especially around our dining table sitting faithfully right beneath their chairs. It was not difficult to spy out the reason. Our boys were never big eaters and were not particularly careful with their spoons and forks. They were literally sharing their meals with Jessie. It probably started in full innocence, but undoubtedly there were times when they did it on purpose, especially if they did not like a particular dish. And Jessie simply acted out the common Czech nickname of her breed - Black Dry Mop. She faithfully did the first cleaning under our kitchen table for all her sixteen years. Of course the boys stopped dropping food well before they were sixteen or fifteen, but in the kitchen of even the most careful cook (an I am not one of them) there are always some crumbs to be found by a diligent dog. Thus with our Jessie I gained my first-hand experience and exegetical insight into the famous biblical passage about children, crumbs and dogs under tables. This keen biblical observation and its broader story will lead us this Sunday in our celebration of motherly love as well as the direct divine lesson in overcoming prejudice and expanding our circle of love. Come to be inspired by the divine willingness to change and love. And her is an Ancient Syrian, Ugaritic, reference of feeding dogs under divine tables. the produce of the hunt in the midst of his palace. Eat, O gods, and drink! he gathered up crumbs beneath the tables. threw him meat from the joint. hit him with a stick beneath the table. At the call of Athtart and Anat he approached. and Anat a shoulder of meat. The porter of El’s house shouted: Look! why to the cur have you thrown a shoulder? He shouted at El his father. El took his seat in his feasting house. Thukanum and Shanim supported him. El was like those who go down into the underworld. When they cured him, he awoke. This is what needs to be put on his forehead: dog-hair, and the knot of vine and its juice. They should be applied together with virgin olive oil.